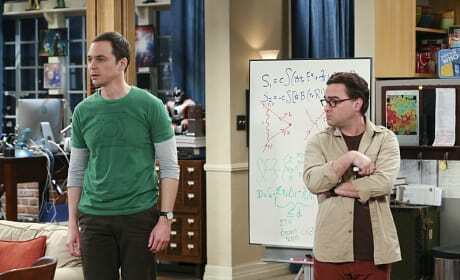 Sheldon and Leonard continue trying to solve their problem, and the look on Leonard's face should probably tell us everything we need to know. Some girl time is always a good thing, especially when it's with Bernadette and Amy. The two of them are even enjoying a hot beverage together. But what might they be discussing? 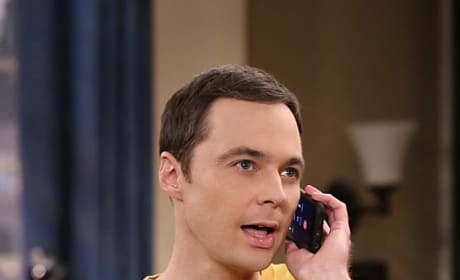 Sheldon makes an important phone call. He's been trying to figure out why a certain song is stuck in his hand, and that brings him to a revelation. Could that have something to do with Amy? Sheldon doesn't look happy at all, so maybe that's the perfect time to take a selfie. He's also spending some time with Penny, who isn't exactly amused. Leonard and Penny seem like happy newlyweds. And thank goodness, since the start of their marriage was a bit rocky. Still, we have to wonder when they'll move in together for real. 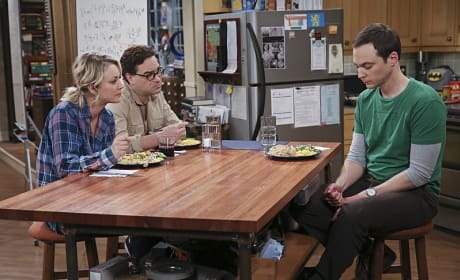 Penny and Leonard listen to an upset Sheldon. Things with he and Amy have taken a turn, and now, he's the one who has made the decision to just be friends. Does he regret it? 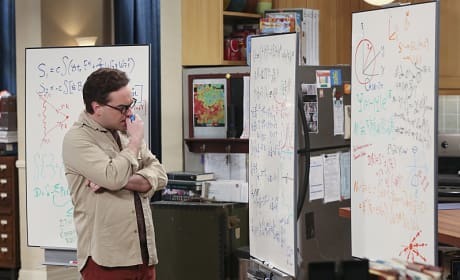 You know things are getting serious when the guys break out more than one white board to work on their equations. Anyone else wonder what the heck these things really mean? 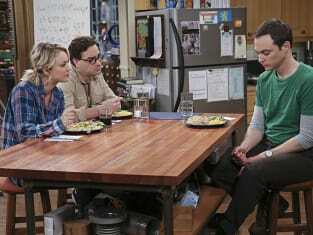 Sheldon has a revelation of some sort as he tries to figure out why a certain song is stuck in his head. Is Leonard helping out? Are there equations involved? Most likely! 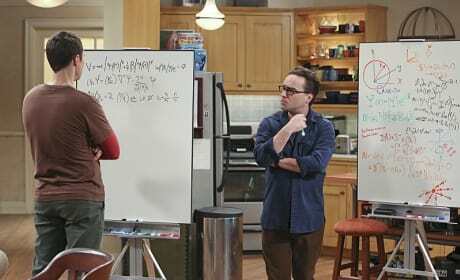 Sheldon has a revelation about a song stuck in his head on The Big Bang Theory. 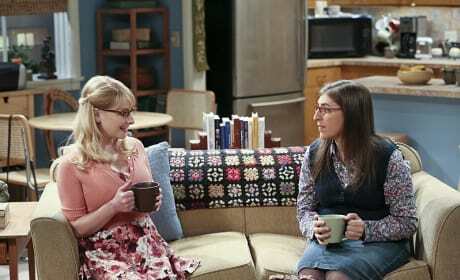 "The Earworm Reverberation" is the tenth episode of the show's ninth season. Hey! I was humming. One point for Hufflepuff. Permalink: Hey! I was humming. One point for Hufflepuff. Do you sing along with the greatest hits of Elvis Presley with that mouth? Permalink: Do you sing along with the greatest hits of Elvis Presley with that mouth?